No, I’m not talking about weddings or the like, Celebrations is a rather beautiful boat that sails around Lake Washington. McAfee have booked her out for a private tour. Attendance is by registration only, but if you think you might like to come you should approach your McAfee account manager. For those who follow me around, I’ll be speaking at “The Security Standard” on September 13th 2010. It’s only a short spot but I’ll be introducing some new information about McAfee’s unified DLP solution, and talking briefly about data protection regulations. Effective as of July 6th 2010, the new la Ley Federal de Protección de Datos Personales en posesión de los particulares, or “Federal Law for Protection of Personal Data held by Private Persons” enforces obligations of disclosure, and has penalties and fines. Companies must act on requests for information about personal data held, and can deny transfer of data and request deletion. A great writeup by Roumiana Deltcheva can be found on MessageingArchitects.com, and you can get the full text of the law from the Senado site (though in Spanish of course). 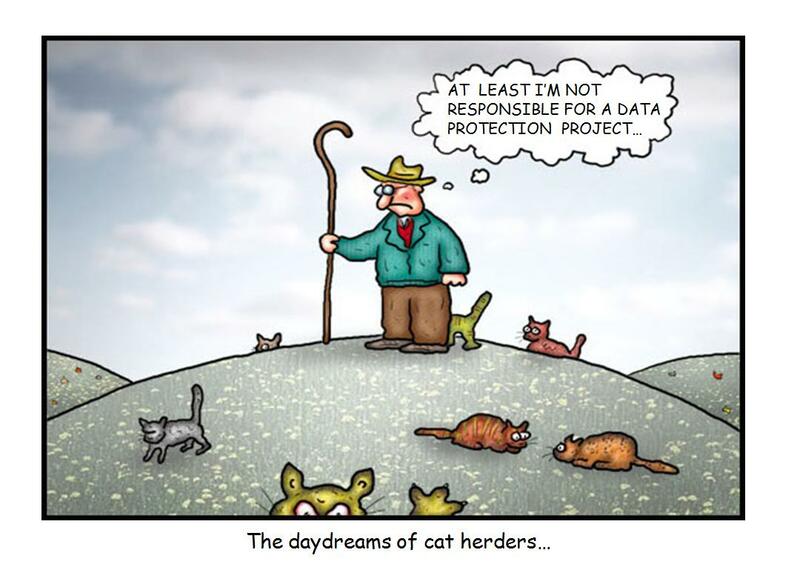 Data Protection Projects – Where to start? One common question I get asked when I speak on Data Protection, is “what do I do first” – it’s interesting topic because although my presentation is exactly about what most people should do, and in what order, everyone and every organization is different and one size, absolutely does not fit all.